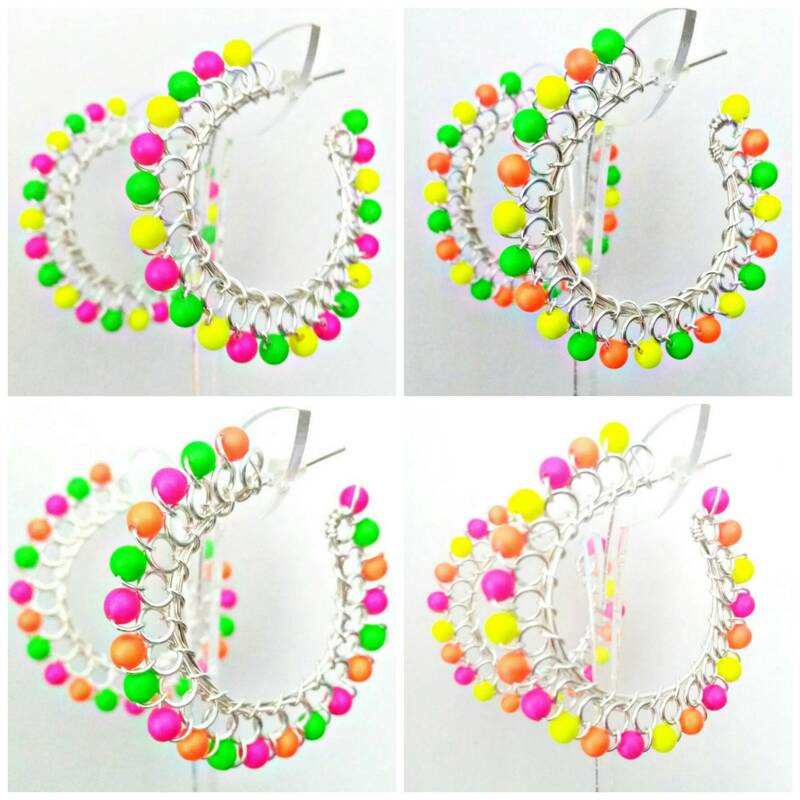 Made using silver colored jewelry wire and Swarovski Neon Hoops. Approx 5cm in diameter. 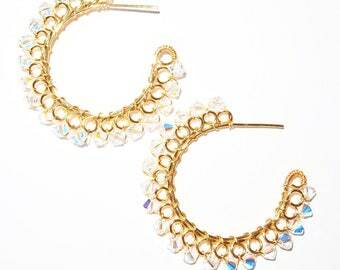 Price is per pair.